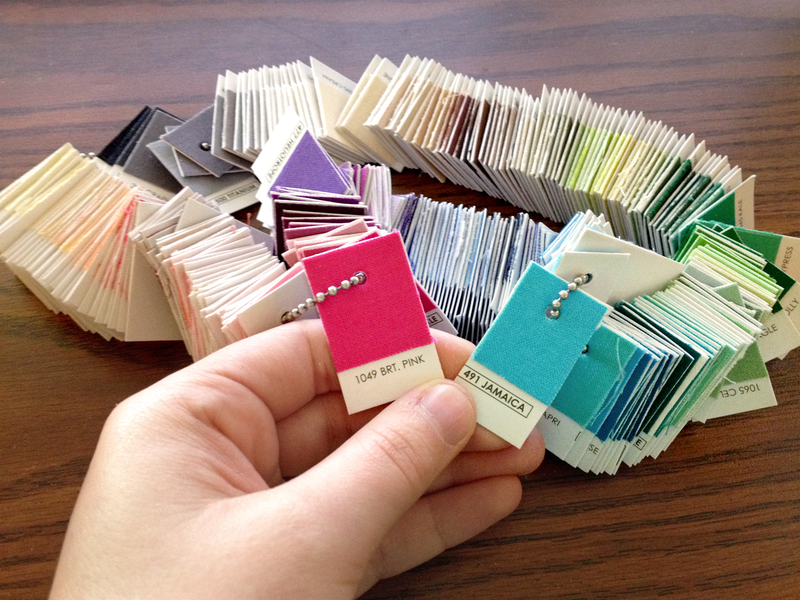 A few months ago at Quilt Con, I was the lucky winner of a Kona color card thanks to their Color IQ challenge. It's been a great tool to have on hand to pick out the perfect solid I'm looking for. If you don't already have one, you can order one of the lovely cards that features all 303 of their luscious colors for $30 on Robert Kaufman's website. 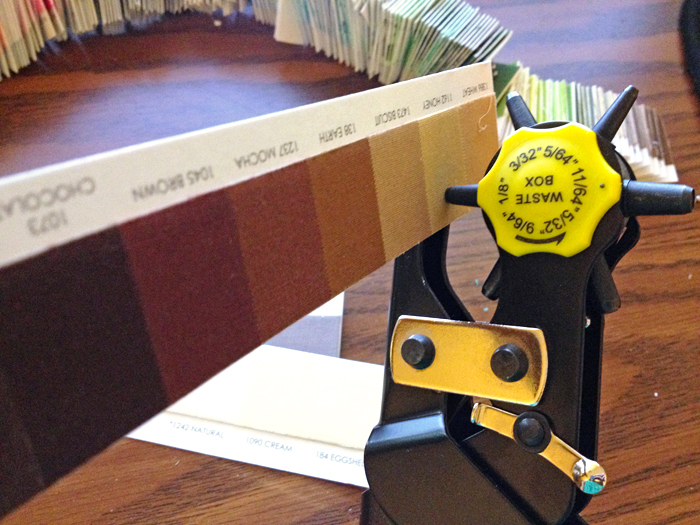 Recently, I came across a pitfall of the color card when I was trying to build a color palette for a new project. Because the swatches are glued down to super thick paper stock, it's nearly impossible to get a good comparison of colors that aren't side by side. The only solution was to cut the whole thing up! I ended up using a leather hole punch and an old ball chain to make a swatch ring. If you don't have a ball chain lying around, you can find them in craft stores and hardware stores for pretty cheap. You could also use a regular hole punch, but I wanted smaller holes in my swatches. I cut my swatches into rows and hole punched each row before cutting them up. I made sure to do everything one row at a time to keep it all in color order as I strung the swatches onto the chain. Now I can make easy side by side comparisons without making a mess! I've seen them cut up before but this method of keeping the samples together and organized is brilliant! I love this! It keeps them all tidy but more usable. I'm definitely going to cut mine up now!